You may remember a post from a week and a half ago where I shared a sketch I was working on? I'm very happy with how this came out. 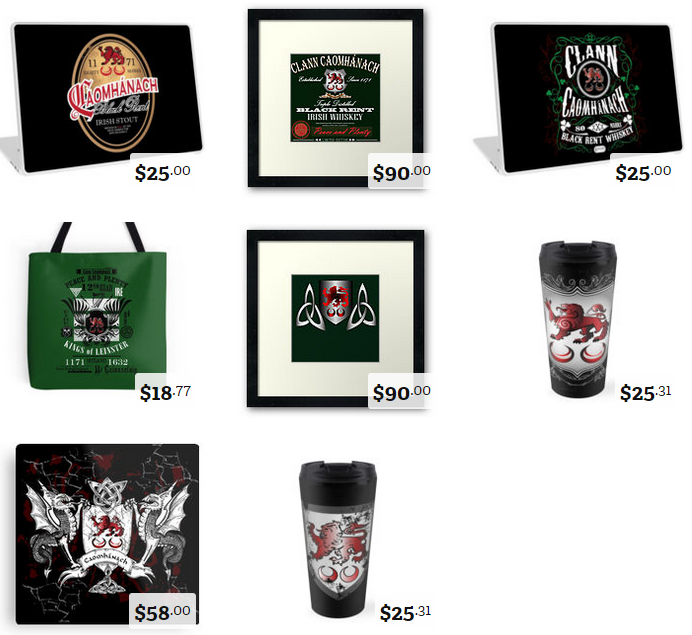 I've created a few products in the shop with this image if you are interested. Please let me know what you think of my take of the Clann Coat of Arms in the comments section below. 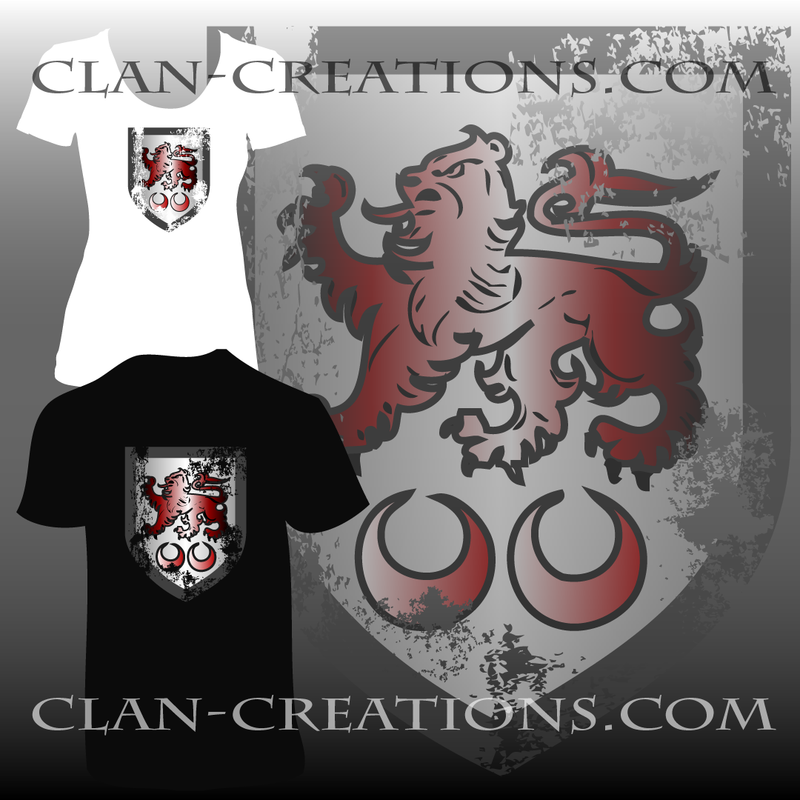 "Distressed" Clan Crest Now Available! The whole vintage "distressed" look is very popular right now. Sometimes it is referred to as "grunge". I love the look. It's very stylish. 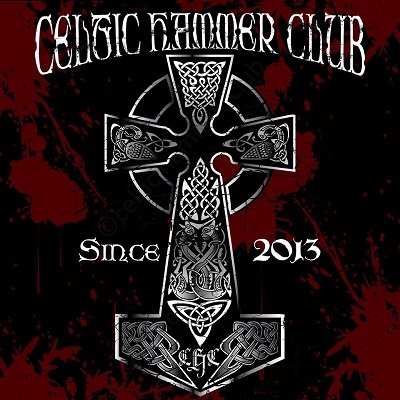 So I created a distressed Clan Crest design for some apparel. Check it out, we have men's and women's styles in a variety of colors. You will not be able to find anything like this anywhere else! 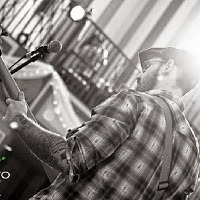 Everything can be found in the online store. 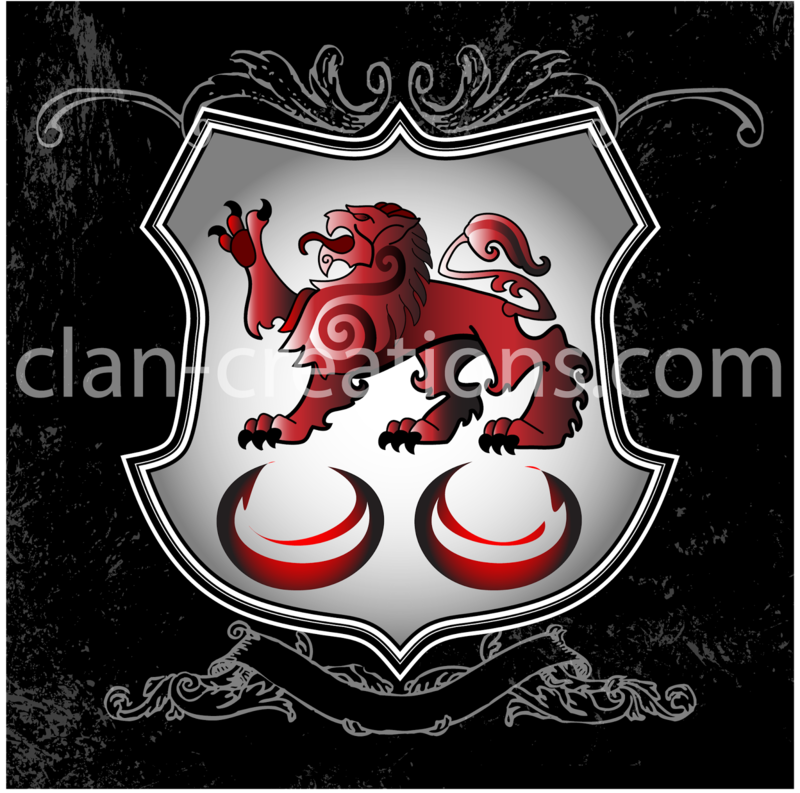 I love the traditional image of the Caomhánach Clan Crest. 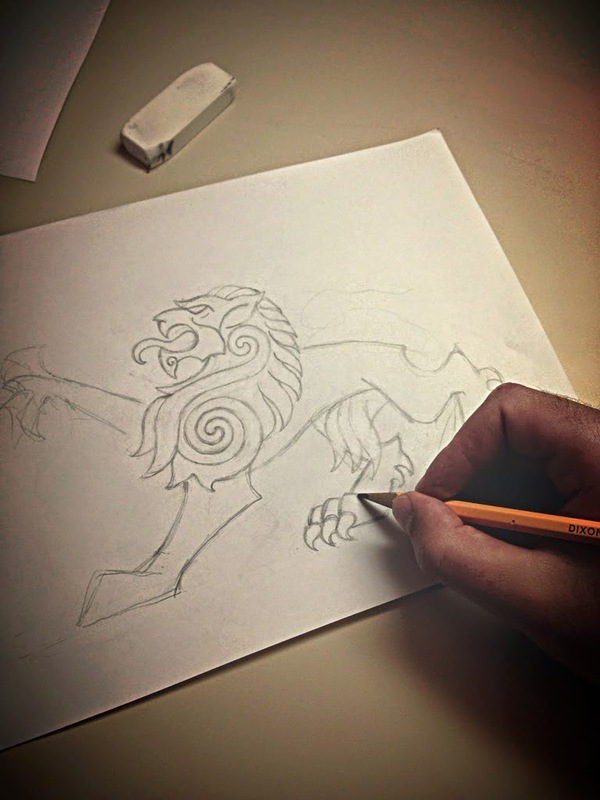 It's a classic, obviously, but I want to create my own interpretation of the Lion Passant that was a little more edgy; a little more modern; something that had my own stamp of style on it.